To transmute your physical form, it is best that you release your attachment to human individuality and think of yourself as a planetary being. For humans to ascend via their physical bodies transmuting into the fifth dimension rather than "dying" as was normal before this great era, you will need the assistance of Earth. At the same time, in order for Earth to ascend without the extinction of Her physical form, She needs human assistance. Hence dear humans and Galactics/Celestials in human form, you will need to expand your personal consciousness into planetary consciousness. In this manner, there is no sense of personal sacrifice or fear. There is only the great unity of person and planet ascending as ONE Being. Furthermore, we request that those of you who have awakened to your Multidimensional SELF no longer hold back your process. Others have chosen the Mission of working with the beginners. Those of you who are merged with your Multidimensional SELF are more ready than you may think. Additionally, the higher light is allowing you to expand your consciousness into higher and higher expression of SELF. At the same time, your consciousness is expanding deeper and deeper into your atomic, subatomic and quantum levels of consciousness. In other words, you are not just raising your consciousness. You are expanding your consciousness far beyond physical Earth, as well as deep into the matrix of Earth. As your consciousness expands, so do your perceptions. Also, when you expand your perceptions, you can change your gene activity. When you choose to believe that your higher perceptions are “real” you increase your perceptual field to the frequencies the fourth and fifth dimensions. This extended perceptual field activates the neural activity of your 97% multidimensional DNA. This multidimensional DNA is linked to your higher expressions of SELF, as well each cell of your body. Your earth vessel is an intelligent biological earth ship, just as our Starships are biological. The current container for your consciousness is just one of myriad containers on myriad dimensions and parallel and/or alternate realities. You have decided to take command of your current personal earth ship, which becomes a fourth-dimensional etheric ship when you are “sleeping” and can expand into the higher dimensions during meditation. Your “dominant state of consciousness” is the state of consciousness that directs your daily life and constant perceptions. This state of consciousness is usually somewhere between your highest frequency consciousness achievable during deepest meditation and the frequency of consciousness that is responsible for directing you to react, rather than interact. In other words, it is midway between your highest and lowest states of consciousness. Once you realize that the act of reaction determines the point of perception that identifies your dominant state of consciousness you will become conscious of that to which you chose to react. In other words, the perception to which you choose to react creates your dominant point of perception within that NOW. You have many different dominant state of consciousness throughout your day depending upon the perceptions to which you react, respond, interact, or ignore. Just as your chakras are aligned to different frequencies, every state of consciousness has a frequency of perception. These perceptions are the sum-total of the frequency of reality you have chosen by your placing your attention on, reacting, responding or interacting with that specific version/frequency of reality. Every reality has many versions, and each version is different because it resonates to a higher or lower frequency. There are myriad channels on your “TV of 3D Life.” The channel on which you choose to place your attention determines your state of consciousness within that NOW. We say “that NOW” as to us all reality exists within the HERE of the NOW. There is no coming or going in the HERE NOW. We ARE. We resonate, we fluctuate, and most wonderfully we create. To further assist Gaia we Arcturians are in direct communication with many multidimensional beings presently wearing an earth vessel. When we communicate we speak in Light Language. Light Language resonates beyond time, polarity, limitation separation or fear. Since you must be free of fear in order to receive our messages, some are unable to perceive us. However, the higher light is continually expanding your perceptions and filling you with unconditional love (the antidote for fear). Hence, more and more of those wearing earth vessels are able to receive Light Language messages from the higher dimensions. You can receive these messages through your fourth dimensional night body, or more consciously via meditations, channeling, or other creative endeavors. You are able to receive these higher dimensional messages because your consciousness is expanding into the consciousness of your higher expressions of SELF, as well as into your cellular consciousness. Through your cellular consciousness you will begin to consciously experience the cellular, atomic and sub-atomic level of your grounded earth vessel. At this point, you will begin to commune with your molecular self by exploring and healing old issues and situations from your past that tell you that you are NOT the Captain of your earth vessel. These limiting messages are at the core of third dimensional thinking. When you enter your unconscious to allow your past to heal your present, you confuse your third dimensional thinking. Third dimensional thinking is also based on the present that appears to be outside of you. Therefore, whenever you go inside to ponder that past, which is hidden deep inside your subconscious, it further confuses your third dimensional thinking. Then, as you give credence to the lessons to be found within your past, a door opens to your past lives. These past lives are introductions to your perceiving yourself from beyond the barrier of time. Hence, your attachment to third dimensional thinking is further loosened. The first “past lives,” you choose to ponder will likely be those with unfinished business that you brought into this incarnation to finish. Hence, even your human history is beyond time, as it is stored in your unconscious mind. Once you release time to heal and complete unfinished lives, you gain the courage and wisdom to remember the past lives in which you completed you’re chosen mission and gained great insight and enlightenment. The acknowledgement of these lives activates the memory of your Multidimensional SELF. Very often your unconscious mind is the archive for old memories that you could not resolve when they occurred in that timeline. However, with the wisdom, power and love of your Multidimensional SELF you have the ability to bring that experience into its conclusion. We refer to your unconscious mind as the archive for experiences from your past that you are too immature to process. On the other hand, we refer to your subconscious mind as a composite of everything you have ever perceived, as well as any information your mind collects that cannot be consciously processed or acknowledged. Your conscious mind cannot always absorb all available information, as it would create an information overload. Therefore, the subconscious mind stores this information where it can be retrieved by the conscious mind when it needs to defend itself for survival or for higher cognitive purposes. However, hidden deep inside your unconscious and subconscious is your Divine Child who carries the “instruction manual” for your current embodiment. These instructions are in Light Language sent only to you. Hence, the process of deciphering this Light Language requires that you first connect with higher expressions of your SELF before you look deep into your unconscious and subconscious to find your Divine Child who remembers everything! When you look HI UP into your higher SELF while you simultaneously look DEEP DOWN into your unconscious and subconscious mind you can experience unconditional love and human emotion within the NOW. When you can close these polarities of spirit and matter with the power of your multidimensional perception, you enter the NOW of the ONE as you merge your Divine Child with your Higher Expression of SELF. Experiencing your Alpha, Divine Child and Omega, Higher SELF confuses your 3Dconsciousness enough that you can jump out of time. Then the past of your unconscious and subconscious can no longer interfere with your present on 3D Earth. When you are fully merged with your NOW, you are able to perceive any third-dimensional thought-forms from your past as lessons that have guided you into your present. From this point of perception, you can easily liberate these injuries from your past with the power of unconditional love and by perceiving them as cherished teachers. Furthermore, you could not perceive your highest and lowest resonance of your Multidimensional SELF, as this process can only occur within the safety of unconditional love, which was rarely present on your reality within the last 2000 years. Thus, unconditional love was forgotten and re-written into a 3D format of conditional love. In this manner, the concept of love lost its true meaning. However, now with your 97% DNA coming on line you are able to preview you highest self and your super-subconscious at the same time. This expansion of perception is possible because of your expansion of consciousness. Simultaneously, your expansion of consciousness is possible because of your expanded perception. Also, the activation of your multidimensional DNA allows you to believe it is possible to perceive higher dimensions of reality. It may appear that many humans are still asleep. However, they are beginning to consistently awaken due to the activation of the 97%DNA. This DNA expands your perceptions beyond the confines of time, space, separation and limitation. Simultaneously, as you expand your consciousness beyond the 3D matrix of time, space, polarity, separation and limitation this DNA is activated. Once your multidimensional DNA is fully activated the process of transmutation of matter advances exponentially. The feedback loop of the higher light having a frequency of matter that can contain it, while multidimensional DNA goes about the process of creating a vessel that can contain even higher frequencies of light, begins a process of transmutations of third dimensional matter into multidimensional matter. Of course, the multidimensional DNA was always within your earth vessel as a latent reminder of your potential to return to your true multidimensional nature. However, this potential needed to be activated by the higher frequencies such as photons charged with particles of infrared, ultraviolet and gamma rays. These frequencies of light, as well as frequencies still unknown or named to your world, make up the higher light that is streaming into your world. In 1990, a group of Russian physicists, molecular biologists, biophysicists, geneticists, embryologists and linguists began a study of this “junk” DNA. Dr. Peter Gariaev PhD who is a Biophysicist and Molecular Biologist directed this research project. These scientists irradiated DNA samples with laser light. On screen, a typical wave pattern was formed. When they removed the DNA sample, the wave pattern did not disappear, it remained. Many controlled experiments showed that the pattern continued to come from the removed sample, whose energy field apparently remained by itself. This effect is now called phantom DNA effect. It is surmised that energy from outside of space and time still flows through the activated wormholes after the DNA was removed. They determined that this DNA is also a complex, biological, micro-computer chip that communicates with its environment. Dr. Gariaev found that the basic structure of these DNA alkaline pairs is the same as that of human language. Thus, they can be influenced and reprogrammed solely by the thought waves in our environment. Dr. Gariaev and Dr. Poponin also discovered that there is a multidimensional field structure surrounds our DNA chain. Other studies were done by Dr. Bruce Lipton, Ph.D. who is an internationally recognized Cellular Biologist and a pioneer in a new field called Epigenics. In his book, titled The Biology of Belief, Dr. Lipton writes about his discovery that evolution is, in fact, driven by consciousness. The caterpillar and the butterfly have the exact same DNA. They are the exact same organism. But they are responding to a different frequency. Dr. Lipton has discovered that it is not genes that control life at the cellular level. It is the mind’s perception of its environment. He coined the term “Spontaneous Evolution” because he has discovered that our DNA scans our environment for frequencies that are relevant to our existence, changes its structure, and then sends messages to reshape it self accordingly. As we stated earlier in our message, many of you are ready to be co-creators of “our” Arcturian Corridor. The Corridor is not a place; it is an inter-dimensional corridor in which beings, as they are not all human, on the verge of ascension can gather to connect, learn and remember the process of transmutation. All of you who are on the cusp of this ascension wave have had at least one experience of ascension. However, in most of these experiences you released your consciousness from your third-dimensional form and soared into higher dimensions. These ascensions were transmutations of consciousness. 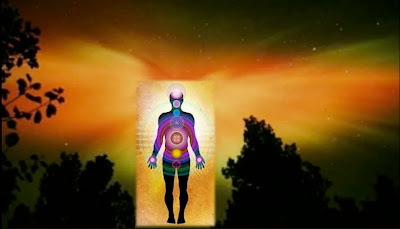 In this ascension, you are not only transmuting your consciousness, but your physical AND your planetary body as well. Thus, it is vital that you merge with your planetary consciousness so that you and Gaia can act as a team. Many of you have already gathered within the Arcturian Corridor to learn about inter-dimensional travel. Now, you will be learning about transmutation of your personal and planetary body. As you awaken your cellular consciousness, you will be able to deeply merge with Gaia, as well as assist us to implant our Corridor into the body of ascending Earth. Your great, Multidimensional SELF is about to make a full appearance in your daily life. As you begin to perceive life from a higher perspective, you will send signals to your DNA that it is “time to enter your cocoon” and begin your transmutation. However, you, the ascending ones on Earth, will not be able to ONLY focus totally on your process of transmutation. In fact, you will, and are now, called upon to perform your daily tasks while you are in the process of totally restructuring your thoughts, emotions, consciousness, DNA and earth vessel. Fortunately, you will be able to call upon us, as well as your own higher expressions of SELF. oh this is so beautifully explained... I LOVE You ... Sue... if am allowed to say that... u truly expand the concept in such loving understanding way... All these year I have mentally argued ( in a loving way pls) with and Yoganada... asking him to expound more... " you say that it depend which freaquency you want to tune in to .. yes sure! but how about expanding more on it!... and here you sue are expounding the concept... I love it.. ofcourse i am glad he build up the curosity. Cientist and alchemist Étienne Guillé has also studied "junk dna", and wrote about this code, the connection between our cells, the planets and the unconscious. Étienne Guillé found out that our cells have tiny bits of metals inside, which are the metals alchemically identified with the planets of solar system! More on why Gaia ‘needs human assistance’ to avoid reorganization of physical matter would be interesting. TRUSTing self to be able to connect w/ SELF & KNOWing we are capable of sooooooo much more than we might imagine is often our energetic biggest hurdle. Ascension is tied to this personal change of frequency, not a calendar date or action/gift from a superior being. This confirms something I’ve been intuitively guided to do for several years, anchoring portals in various places I’ve been. I didn’t know how it worked (or if it really did work), but did what seemed to be right. Excellent book. It uses language that a non-scientist can understand. In the last several months I’ve felt much more of a connection w/ Gaia than ever before, even though I’ve understood for years that the planetary energies were a real type of consciousness. The idea that 97% of our DNA is junk or a relic left over from our prehistoric days is laughable. It would be much more credible if those making such statements would simply state that they didn’t know its purpose. It’s likely that this DNA activates as we reach given levels of frequency, much like various hormones engage at different stages of a human’s life. why dont arcturians lead by example and show us HOW! There are many people all around the planet who are Arcturian based as well as others from similarly far flung origins who are leading by example. Many aren’t consciously seeking to be role models, but seek to make this world a better place & find inner peace. Fortunately, some are taking more active roles as wayshowers, sharing how to be centered, move past fear, etc. A huge amount of information is out there about moving out of the old paradigm of disempowerment into learning to increasingly have an empowered creator perspective. Every time we decline to engage in the various frequency lowering feelings or actions (such as fear) we are taking charge as active creators of our own energies & frequency. It isn’t difficult to incorporate into one’s daily life, although it does take deliberate effort & persistence to achieve this self-mastery as it is changing how we think. The search engine on multidimensions.com (another Sue site) will yield considerable information on this topic. Transmutation is entirely within the realm of reality and happens every day although beyond the perception of most. While in the flow I have had things literally disappear, I have seen people healed, I have seen people that were there and then not there - especially when I was engaged in wholistic conversation with another. Recently while in the flow I stuck the wrong key into my ignition and turned the car over then I realized I was using the wrong key and turned the car off and tried to start it again and of course it didn't work as this action was now reactionary whereas the first action was interactionary and without thought. The key just changed it's shape in submission to my quiet, flowing action. A quiet, accepting mind is key to entering the flow. A good way to begin to to notice the fluidity of reality is to relax yourself into what you are doing and you will begin to notice that what you are doing begins to flow effortlessly. For example my first realization of the flow was about 15 years ago as I was rototilling our garden for the first time. The ground was extremely hard and unyielding and I was having an very difficult time managing the rototiller. The urge to relax into what I was doing came over me and the more I relaxed the easier it was to manage the rototiller and the deeper is penetrated the previously hard packed earth. Before I knew it the rototiller was cutting into the earth like butter. It was amazing. I realize that theses example might not carry much weight with others without being experienced but for me they have fulfilled their purpose of opening a whole new way of looking at the world. Stay tuned. More to come. Also, read the comment above, which is very good. More to come. First introduce concepts so that people can allow that "possibility" to enter their consciousness. I have learned in my 40 years that if I am confused to sit with it and ask for inner guidance, Than the clarity comes in. You can also ask the Arcturians your self. PS some ask :where italian translation of this post? Arcturians - my divine complement and I are in the Arcturian Corridor! We want to be careful not to take any actions or release any thought forms that will not be of the highest overall good. Can you please share some more information on how to navigate at this time.